Uptown is part of the Proper Job CIO. Based in Chagford Square we sell a selection of quality donated items from the Proper Job Resource Centre, as well as repaired, restored and upcycled items from local crafts people. We stock a wide range of good quality and affordable pre-loved clothing, furniture, homewares, books and much more. 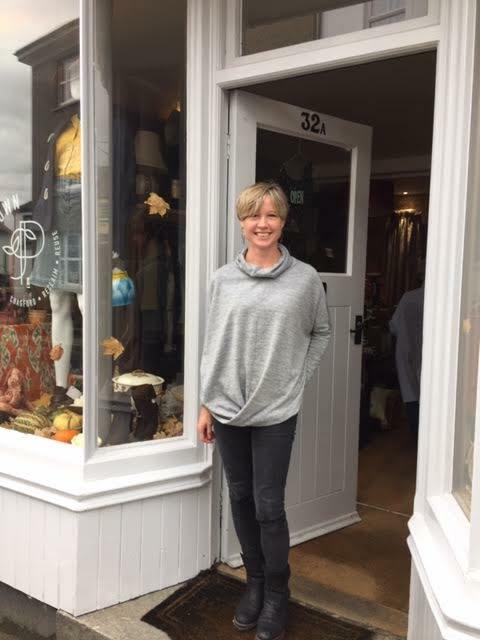 Our mission is to reduce waste, create jobs and volunteering opportunities, educate people on repairing, re-using and recycling and to prevent Chagford from losing its shop fronts. We live in a throwaway society and we are passionate about helping to educate and inspire people to make better environmental decisions. Do you repair and upcycle items? We would love to showcase your work in the Uptown store. Email uptown@proper-job.org with a few photos so we can check for suitability. We look forward to hearing from you.